At 19, when most of his peers were still deciding on a college major, Provence-born Simon Porte Jacquemus was already staging guerrilla-style fashion shows around Paris and knocking on retailers' doors. Two years after Jacquemus showed his first collection in 2009, Rei Kawakubo spotted his clothes at a Tokyo showroom, and fashion history was made. He soon met with Adrian Joffe, Kawakubo's husband and the president and CEO of their brand Comme des Garçons and their string of Dover Street Market concept stores. Joffe reluctantly (more on that later) gave him a job as sales assistant in the Paris CDG shop so that he could support himself financially while working on his designs at night and showing during the Paris RTW collections. Through a combination of Joffe's deft mentorship and the vibrant, refreshing spirit of his clothes, Jacquemus is now one of the most-watched young designers in fashion. “Sunny" and “naïve" are just a few of the words the designer himself unapologetically uses to describe his collections, which favor primary colors, reject the current vogue for ironic drabness and are almost exclusively drawn from childhood memories or homages to where he grew up. After nabbing a special jury award in the 2015 LVMH Prize competition, Jacquemus cemented his position as a leader in the young fashion vanguard; he now turns up on just about every short list for big job openings in the industry. With his shop-assistant days behind him, the now 27-year-old, self-taught designer tells us about the lessons he learned from Joffe, storytelling in fashion and the importance of spontaneity. I was not attracted to clothes, it was not that for me. Fashion was movies and film. I was obsessed by characters and girls on TV and cinema. I was more attracted to seeing a story. When I started to get into fashion, it was Vogue Italia. I was looking at atmosphere. Steven Meisel by Franca [Sozzani]. Fashion is a story -- I don't do “clothes." How did you get to know Adrian Joffe and get involved with Comme des Garçons? My first commercial season went to a showroom in Tokyo when I was just 21 in 2011. I got feedback from all the buyers and people who passed by the showroom there; they would write it down. And I saw and read these beautiful comments by Rei Kawakubo about my collection. So I Googled Rei Kawakubo, and I was like, “Oh my God!" Then I met Adrian Joffe in Paris, and I said, “Adrian, give me a job (at the CDG store) so I can pay for my collections, to keep working on them." And he said, “No Simon, you are an artist, I'm not going to give you a job [at the store]. You can't have the job." So I called him back and I said, “I'm not happy with your answer, Adrian. I want the job because I need to do my collection." And he gave me the job, and I started two weeks after. He argued with you about taking a job at his store? He kind of tested me, I think. He wanted to see if I was sincere, what I had in my heart. And I was very serious. What do you think it was in that collection that Rei Kawakubo saw in 2011? What were the pieces like back then? It was my most minimal collection, it was really the most “poor" collection ever. Just boiled wool, a lot of different colors... no details, no pocket. And I think they saw something they connected to. More generally, what is it about your approach to clothes that they responded to, do you think? I think it was my spontaneity that Adrian always loved. He is very true to himself, and I am true to my collection. The spontaneity touched him... When I arrived in Paris that was something new. I was showing my collections in a swimming pool, in a garage in 2011. Adrian was the only person who would drink coffee with me like a designer and speak to me like a designer. The feeling was always a respect he had for me. But in the beginning I didn't know who Adrian Joffe was, so I didn't try to seduce him because of who he was. When I started my collection, I didn't really know who was Margiela or CDG. I was so naive, from the South of France. And I think that kind of spontaneity and talking to him like a father, like a friend... not like “Adrian Joffe" [helped]. But now I realize the impact and who they are, of course. Most 21-year-olds are not producing fashion collections all by themselves. How did you manage to do that? For me it was not so hard in a way, because I was living the dream I dreamed all of my life. I didn't realize that it was that hard, and every little step I was so happy. I was calling my grandmother about it. Even if I was a sales assistant, it didn't feel hard. Losing my mother at 19 -- and my brand Jacquemus is my mother's [maiden] name -- I think that was the starting point for me to be ready to start my brand. I don't think I would live the same [experiences] without losing my mother. You have a real business now. How has that impacted your attitude? Do you still feel the same desire and feeling for it? It is not the same... Almost now we are 30 people, we have a building and it is work, in a way. Before I was doing the collection in the street with my friend. But now what I wanted happened -- I'm here and it's professional. I can do whatever I want, so you try to find the right balance. To stay spontaneous and naive, but with a balance. What kind of people do you like having around in your studio, now that it's growing? For me the atmosphere is very family-like, or like high school in a way. I want everyone going to lunch all together and things like that. It's very important. Is that something that you picked up from Adrian Joffe? It is very like family in the shop. I think sometimes if you work in a shop you can feel very far from everything, but Adrian was always coming to the shop. We were doing the merchandising of the boutique together, and doing creative things. When you would watch him merchandising, did you pick things up from him? The best lesson from there was to stay radical. 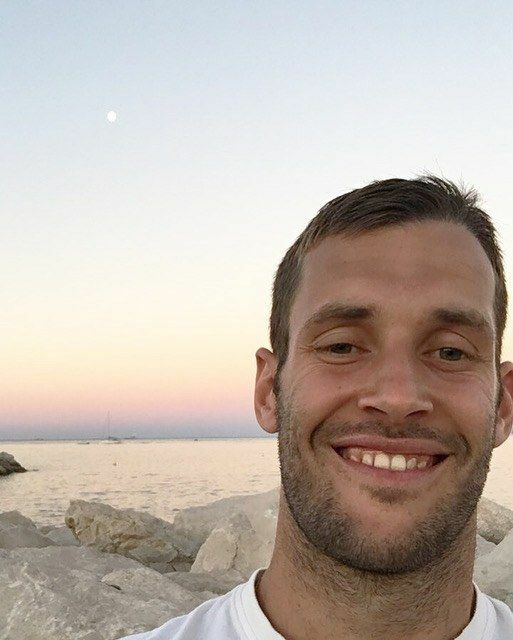 For me, Jacquemus is radical, but with a smile. This story appears in our Break the Rules issue starring Rihanna. Buy a copy HERE.